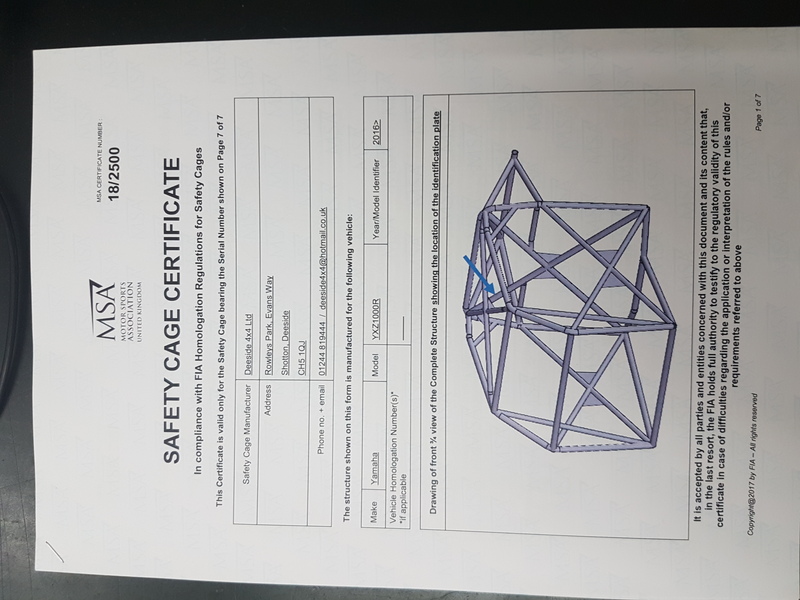 Posts Tagged "MSA ROLL CAGE"
Here at landranger deeside we cad designed with the help of the MSA,fabricated and submitted to the MSA for full FIA/MSA homologation of our YAMAHA YXZ1000R ROPS rollcage. FIA certification means the design can race uk and international events.We learnt a lot along the way,there are subtle differences between MSA BLUE BOOK, FIA INTERNATIONAL AND FIA CROSS COUNRTY specification.If a design is FIA it can compete in any MSA event but not necessarily the other way around.FIA allows smaller O/D main tubes than MSA where as FIA cross country allows smaller O/D tubing than msa and allows the front rollbar leg mounting foot to be swept back rearwards upto 10 degrees similar to the rear hoops +/_ 10 degree maximum inclination. where as MSA and FIA insist the front rollbar mounting is not rearward of the foremost point of the rollbar. 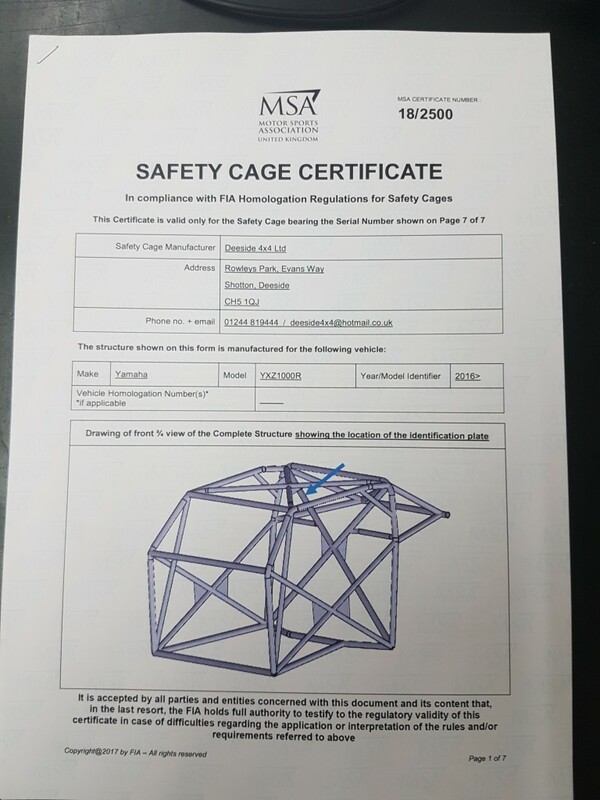 (ie must be vertical or sweeping forwards, not swept back).We are happy to help with design,modification and fabrication of any motorsport cages and are a recognised MSA rops fabricatior and have an excellent working relationship with MSA technical,and MIRA for crash simulation and load testing of designs not meeting MSA/FIA technical specifications and requiring certification,prefering to ask the people who know rather than the google and social media warriors!